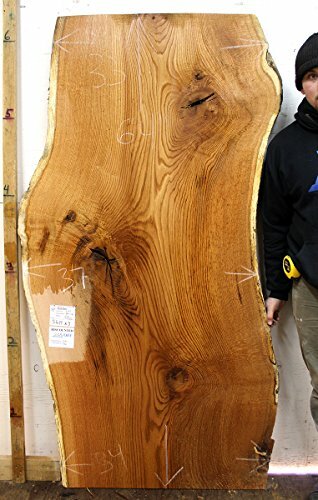 This live edge Red Oak wood slab has nice grain and it is an excellent shape and size for a custom restaurant tabletop or kitchen island top. Due to decay, this slab has been discounted 25% to help cover added customer work. We want this slab to be perfect for your project; if you would like additional photos or information on this slab please feel free to reach out to us. The front of this slab was sprayed with Denatured Alcohol to show color and grain. Widths: TOP 33" - MIDDLE 37" - BOTTOM 34"
If you have any questions about this product by Berkshire Products Inc, contact us by completing and submitting the form below. If you are looking for a specif part number, please include it with your message.